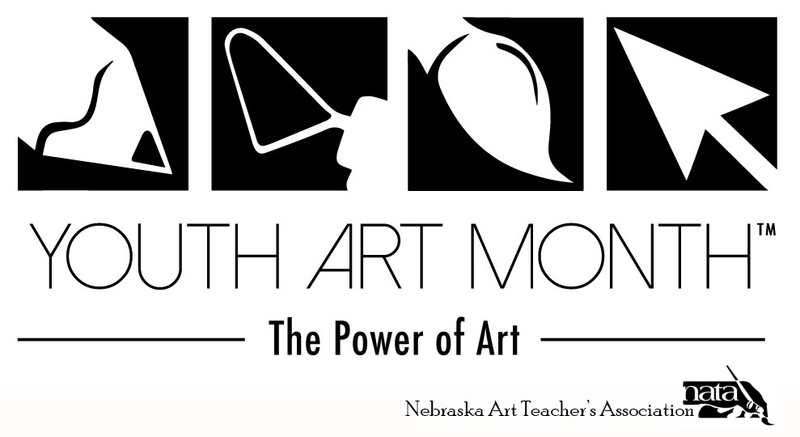 The State Capitol Youth Art Month Celebration will feature a K-12 art exhibition. Participating students will be recognized during the reception and ceremony at the State Capitol on Saturday, March 30, 2018 at 2 P.M.
Each K-12 art educator may submit two works of art from two different students. ALL works must be 16" x 22" or smaller and matted/mounted to be display ready. We have a limited display space so these limits must be strictly followed. Collect two artworks total from two different students and matte or mount the work so it is display ready. Please submit original work that does not violate a copyright. Remember copying cartoon characters, images belonging to others, etc. are copyright protected images. PLEASE ONLY SUBMIT ORIGINAL STUDENT WORK. Complete and submit the online registration form on or before FEBRUARY 23rd. NATA Non-members​: Must pay one $25.00 processing fee at the time of registration and payable only in the NATA Website Store. WE WILL NOT ACCEPT CASH OR CHECK SUBMITTED WITH THE ENTRIES. Members fees are paid through membership to NATA. Use this link to download, complete, print, and attach the Student Artwork Labels and Permission Forms. Print YAM Celebration Invitations and distribute to your students and families. Student artwork must be delivered by February 28, 2018 @ 5:00PM in a reusable container - Y.A.M., c/o Mollie Leisinger, 2401 S 36th Street, Lincoln, NE 68506​. Register work for Y.A.M. show on NATA website. Print and distribute invitations to families. Take down show and package for distribution, State Capitol Rotunda.